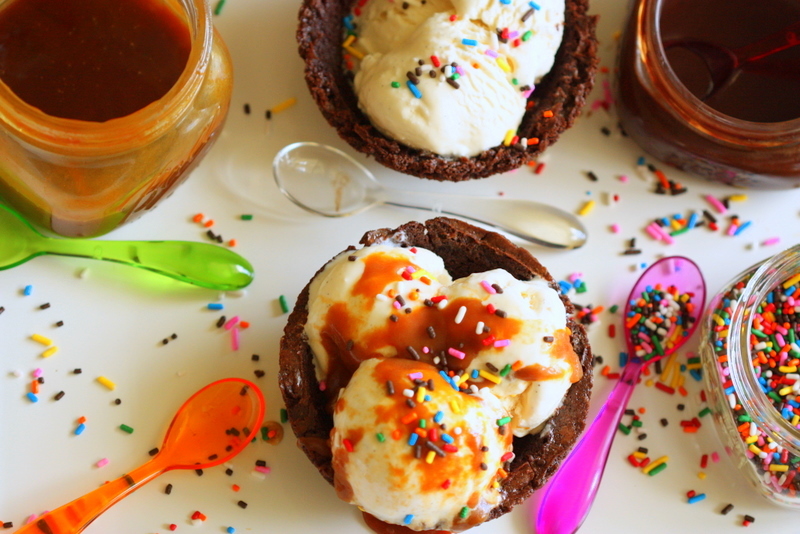 Yummy Brownie ice-cream Bowls for Parties.. This festive season look for some Party Food Ideas and try out brownie ice-cream bowls that your guests and kids will surely love. Serve your guests with some desserts. • Now place the smaller bowl on the top of the cookie dough that is inside the bigger bowl. • Press the smaller bowl, so that the dough takes the shape of a cup. The dough must start coming up from the sides. • Bake it for about 20 minutes in oven. • After 20 minutes, twist the small bowl to remove it from the dough. • Now place the cookie once more in the oven and let it cook for about 5 minutes. • Let it cool and cut off any dough that has flowed out of the bowl. • Now, fill the brownie cup or bowl with your favorite ice-cream. Use your favorite toppings..!! drop us a mail at RedSaltMultiCuisine@gmail.com for Today’s Special.. Previous Previous post: Spicy Hot Chili Mushroom Starter..!! Next Next post: Aromatic Mocha Coffee to Start Your Day..! !